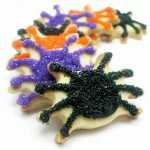 These dangling, sparkling spider ornament cookies double as a spooky Halloween treat AND as Halloween decor. A warning: I’m in Sandy the Hurricane’s line of fire, so I may be without my dear internet for a bit. 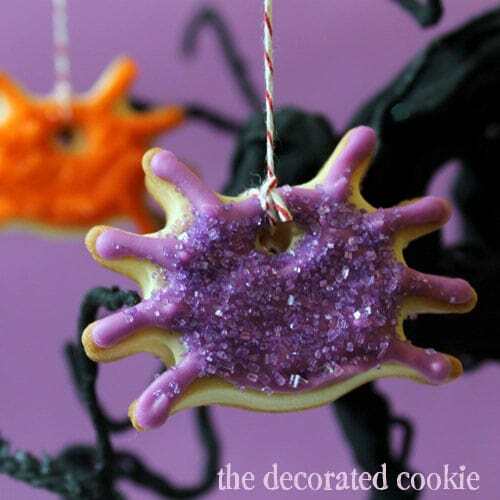 Here’s one more Halloween idea to get you through, dangling sparkly spider ornament cookies. Fingers crossed we still get Halloween here in DC! 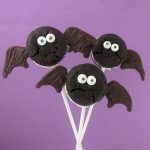 Need more sweet treats for your Halloween party? 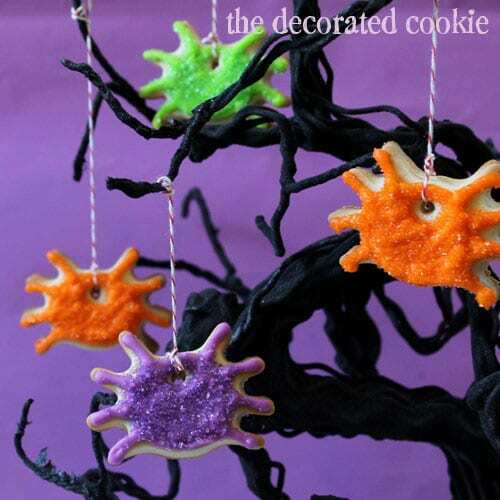 Check out these zombie chocolate chip cookies. Or these easy werewolf cookies. These monster cookie sticks are some of my favorites. 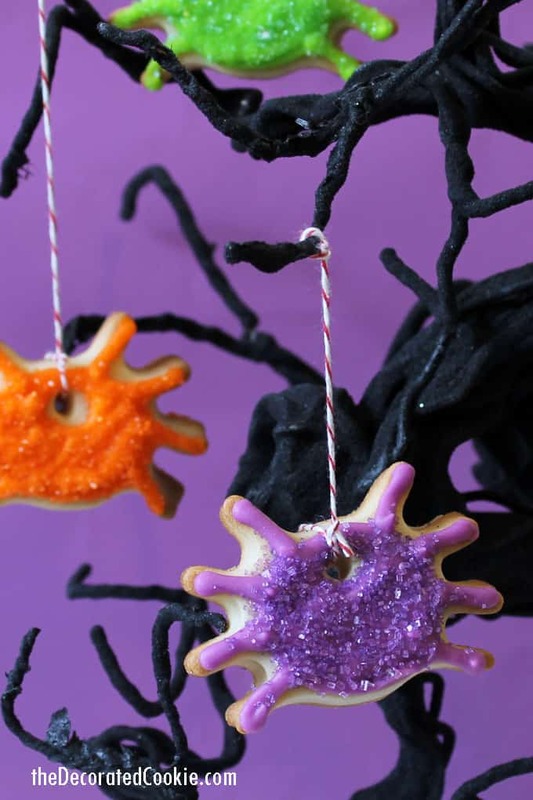 If you need a last minute Halloween cookie idea, remember I made these sparkly, dangling spider ornament cookies featured in the Fall Issue of Bird’s Magazine, pp. 61 – 62. Read Bird’s Party Magazine online HERE. Purchase the paper copy HERE. And the Winter Issue is coming!! I’ll have more treats in there. 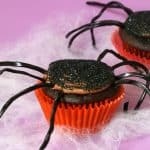 Roll out your favorite sugar cookie dough and cut out little spiders. 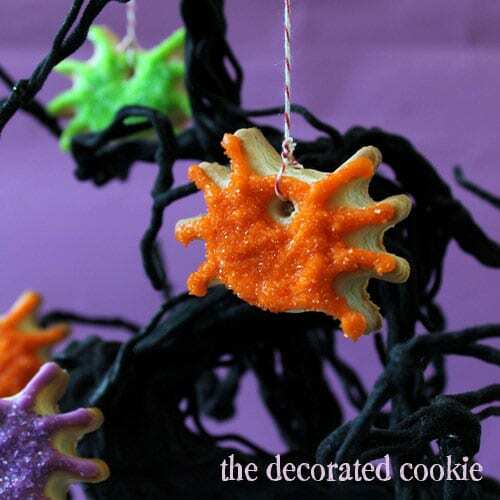 Use a toothpick to make a hole at the top of the cookie about ¼-inch in diameter. Bake and let cool. Mix up a batch of royal icing, divide and tint in festive colors, such as black, orange, green or purple. 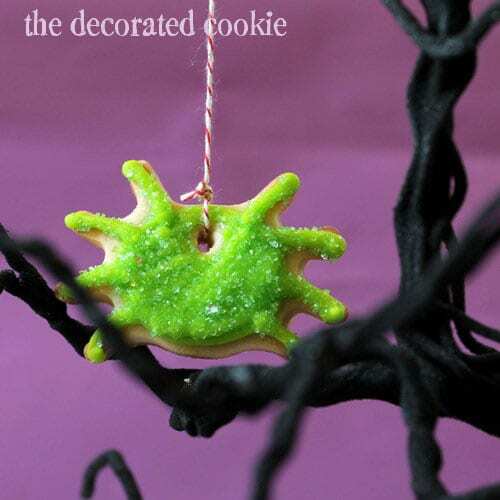 Prepare decorating bags with size “4” decorating tips, and pipe icing to fill the spider, then immediately coat the icing with a matching color of sprinkles. Let the cookies dry, preferably overnight, and thread baker’s twine through the hole. Another girllllllll,,, awesome! Girls rule! Yaaaaaaaaaa congrats! Girls are an emotional ROLLER COASTER but SO. FREAKIN. AWESOME. Spiders rock. Be Safe, thinking of you. Okay, first, these are adorable. Second, I’m glad you’re taking the trip, because I’m pretty sure it’s the same one I’m taking and I can’t wait to meet you. Third, seriously. The cookies are just too cute. REally, Karly?!? Woo hoo!!! See you in a couple weeks!! Praying y’all don’t lose power up there! Can’t wait to see what goodies you post from your trip..and repetition from your bag of sweets is always fun. Congratulations on upcoming baby girl #2! 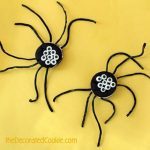 These are the only kind of spiders I want to have in my home!